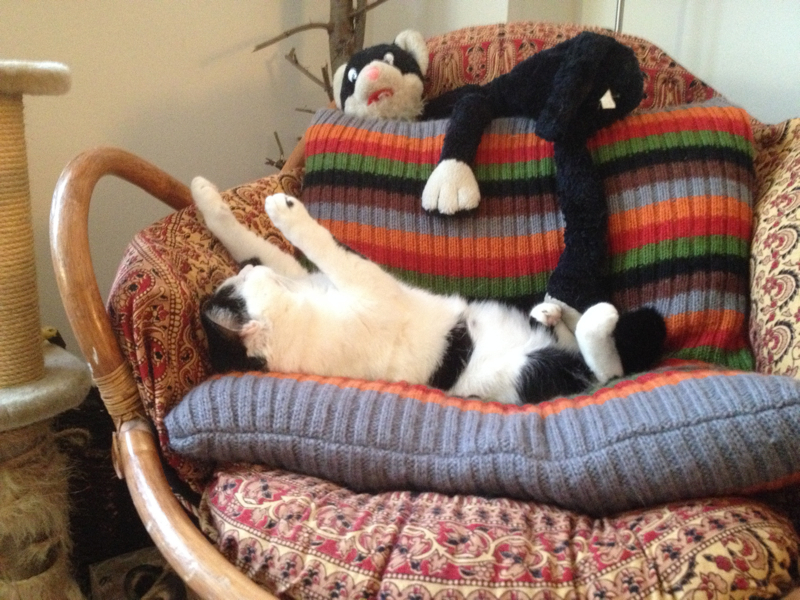 Lloyd is the silliest cat I've ever had the pleasure of knowing. 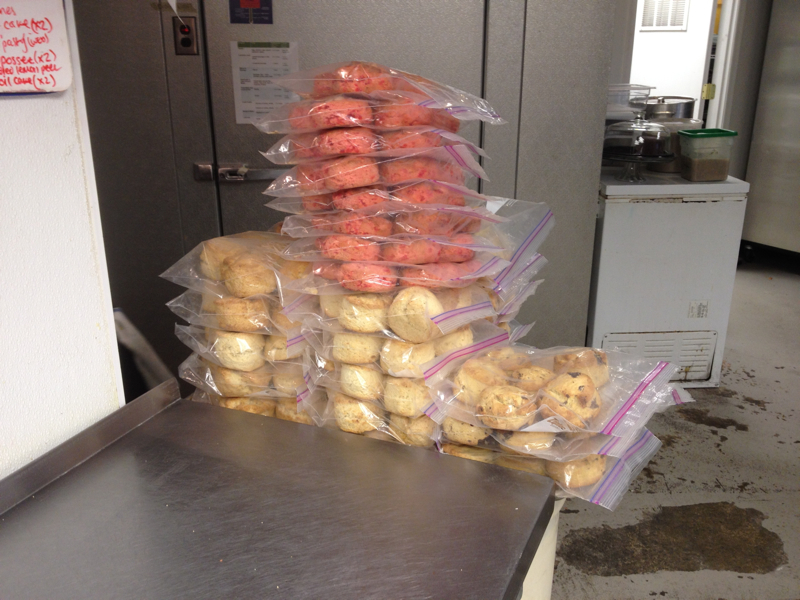 This is about the typical amount of scones I make twice a week at work now. 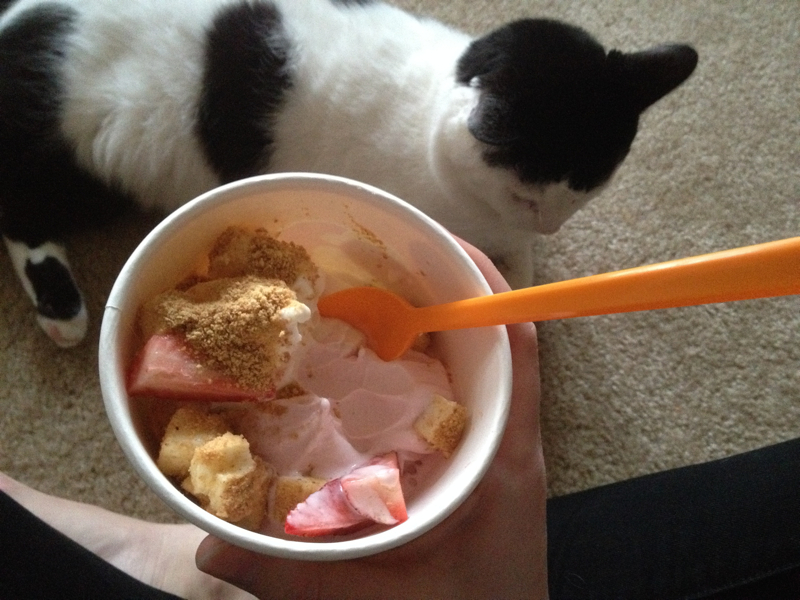 Froyo! I've been wanting more since then. 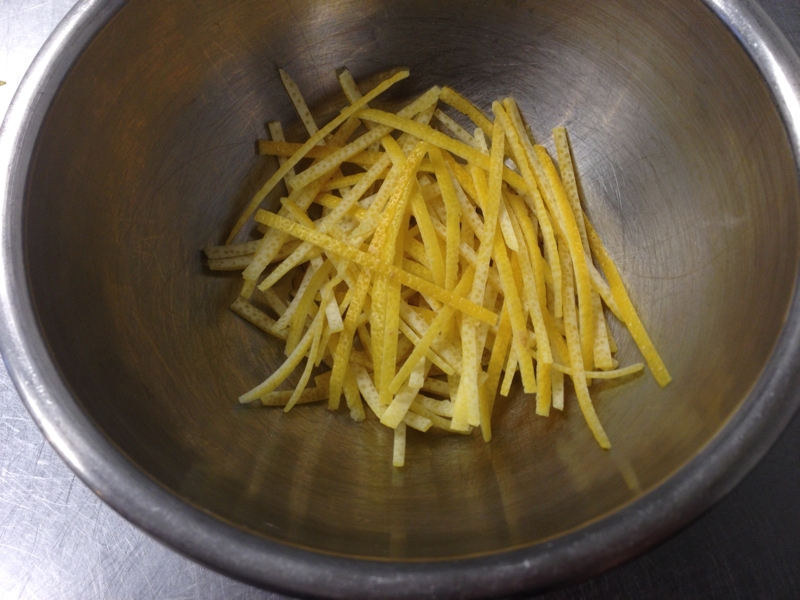 Prepping lemon peel for candy-ing. 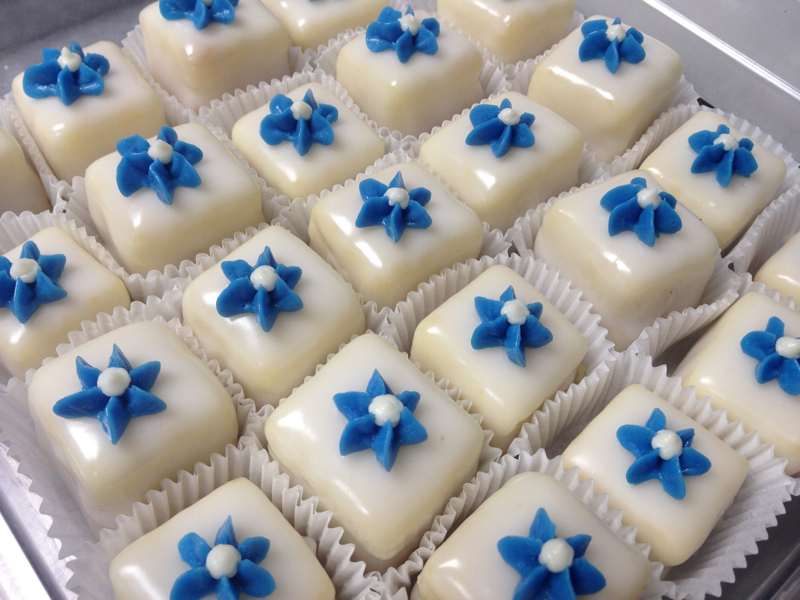 This takes me back to my first ever pastry job. 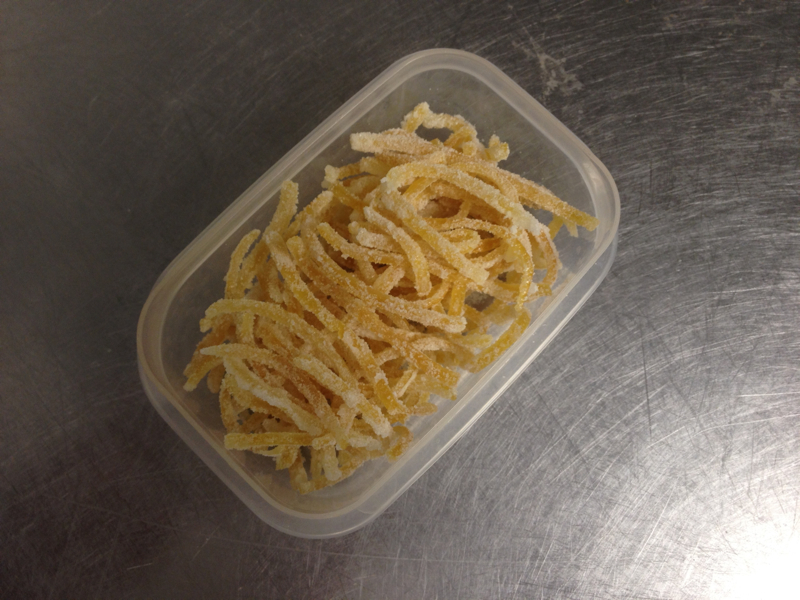 Candied lemon peel! To top a new dessert I'm making. The flowers make me smile; they're so pretty! I hope the person who ordered these feels that way too. 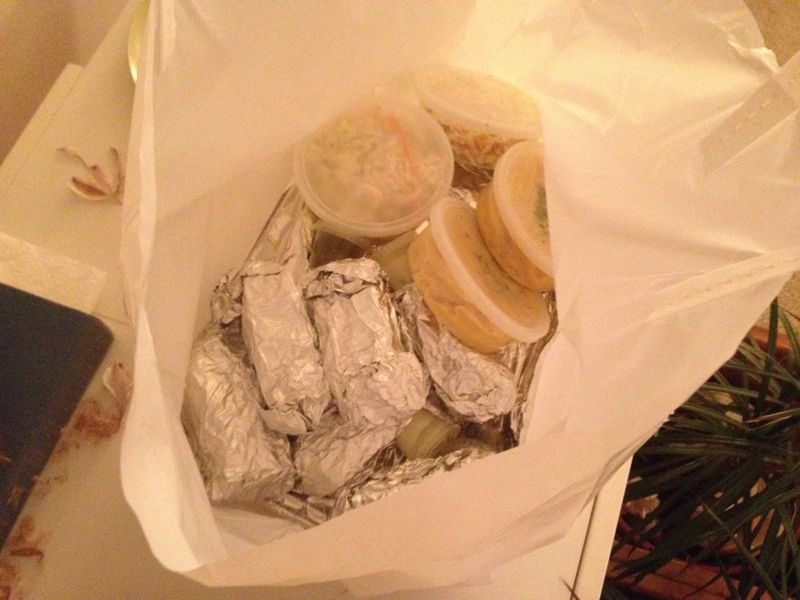 That is approximately $50 worth of food... it fed us for over four meals, so it was totally worth it. 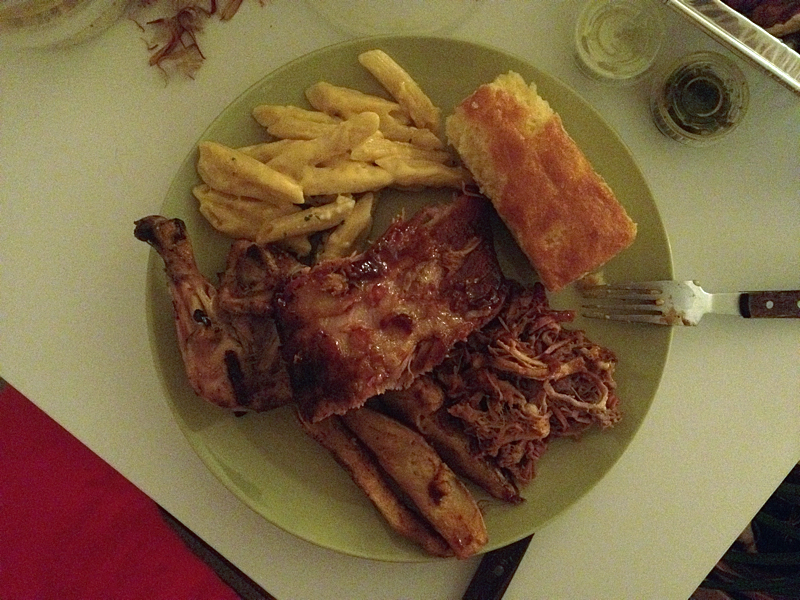 This is a peek at what was in the bag: pulled pork, a whole roasted chicken, half a rack of ribs, potato wedges, mac n' cheese, cole slaw, cornbread, and lots of awesome. 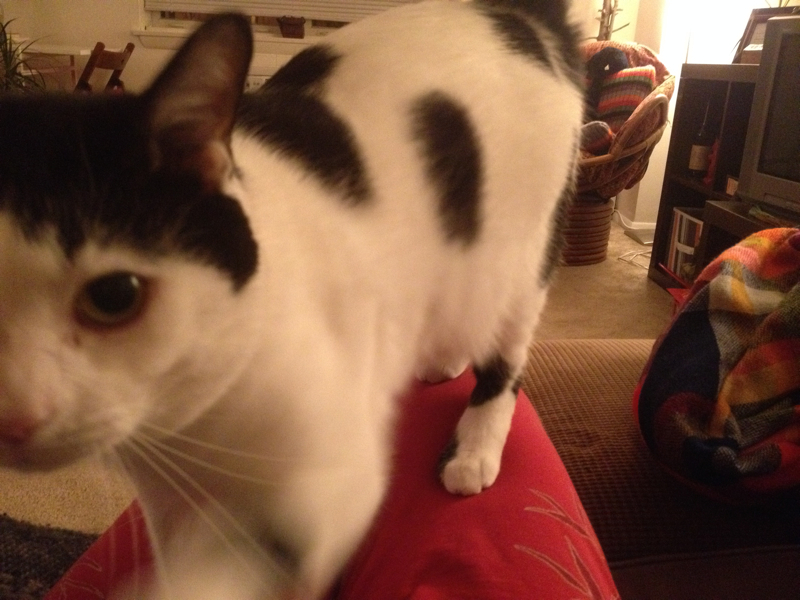 Lloyd has been all over me this week! So much love from a little guy. 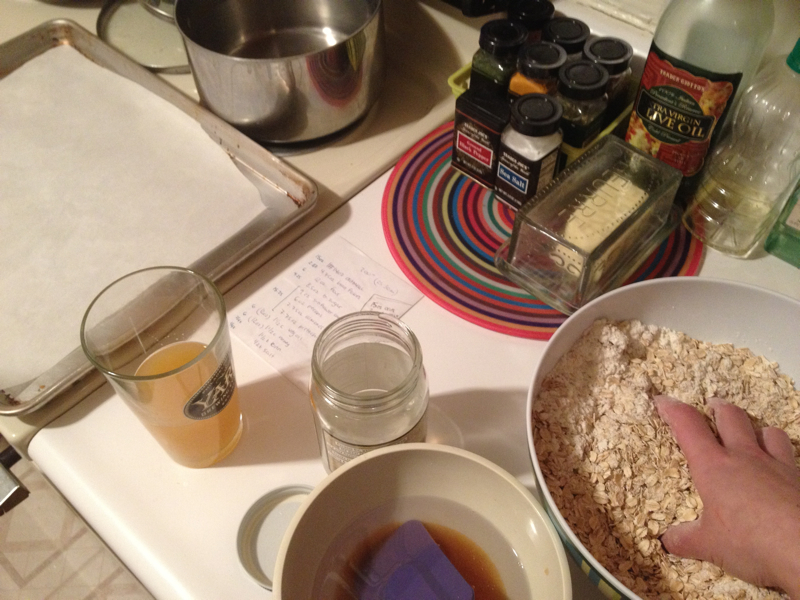 Making granola, the breakfast of champions. Well, my breakfast pretty much every morning. 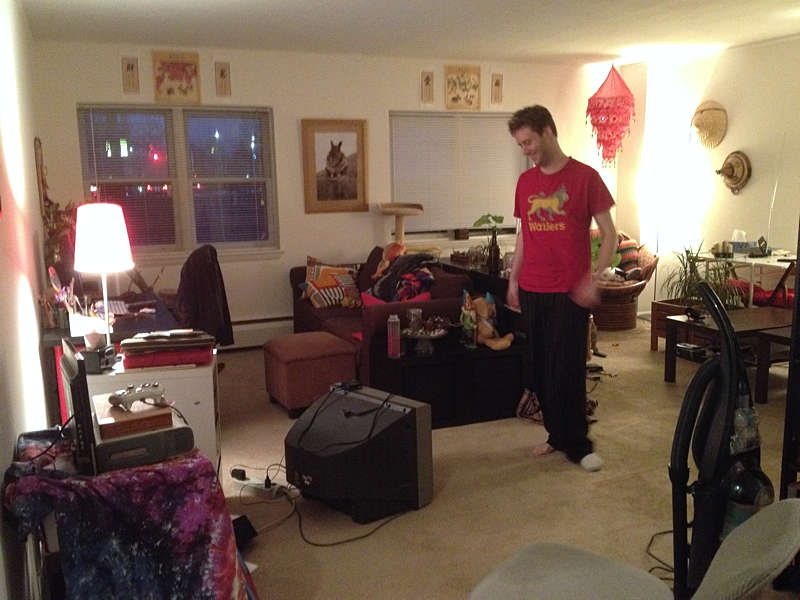 We moved all the furniture in the living room around this week. And by we, I mean Shawn did. 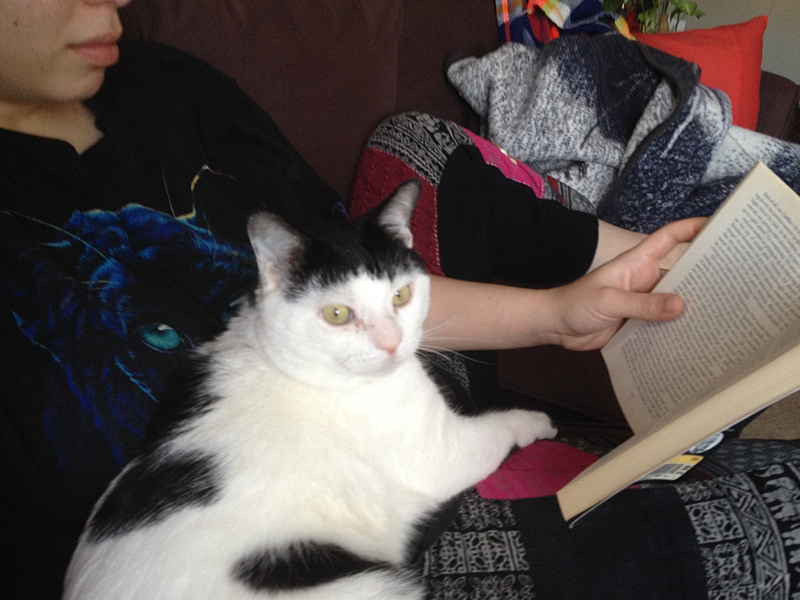 Lloyd and I sat around and watched encouragingly. The new set-up is so refreshing! Photos soon? 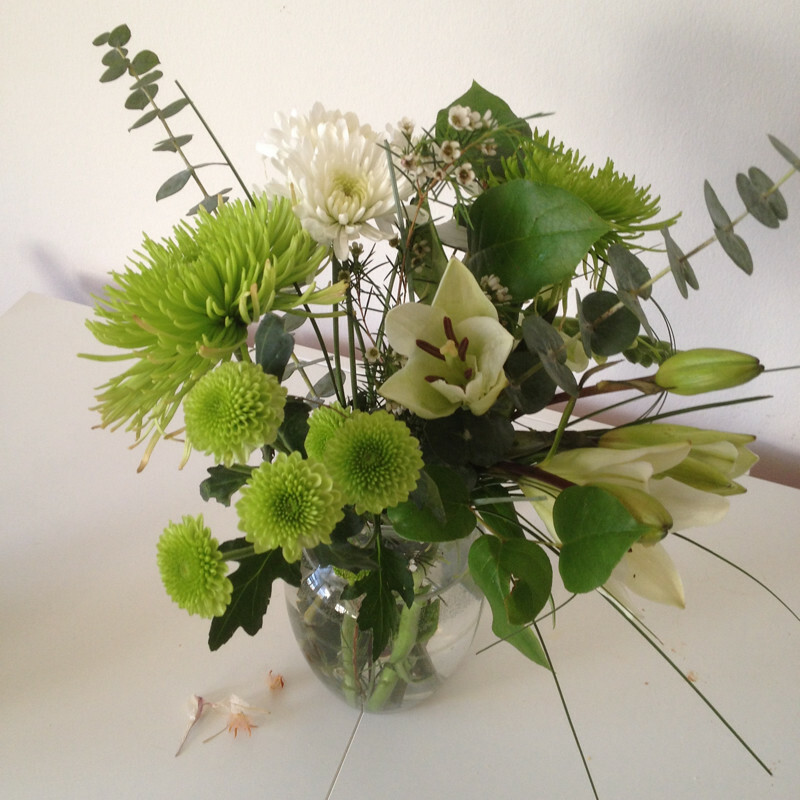 I bought flowers to make the new space extra pretty and fresh. He's always on my right side, no matter what the situation. 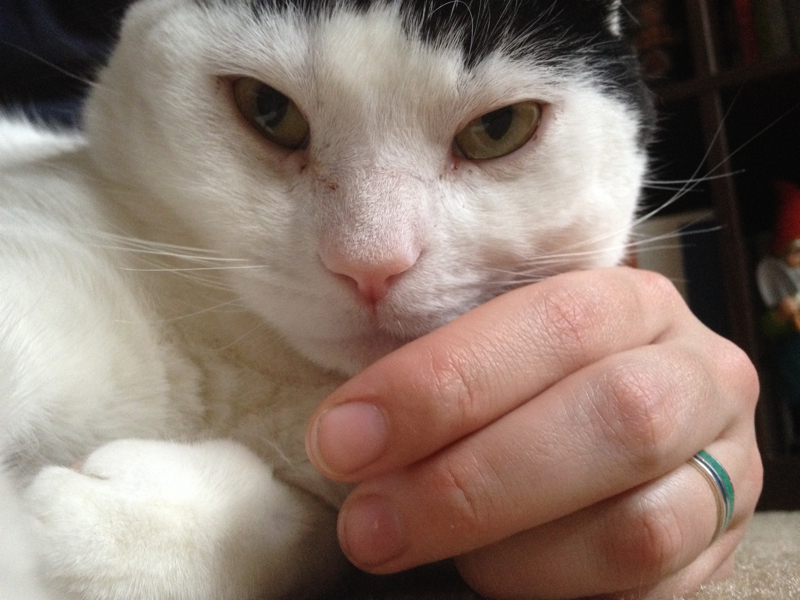 My right arm is always going numb. 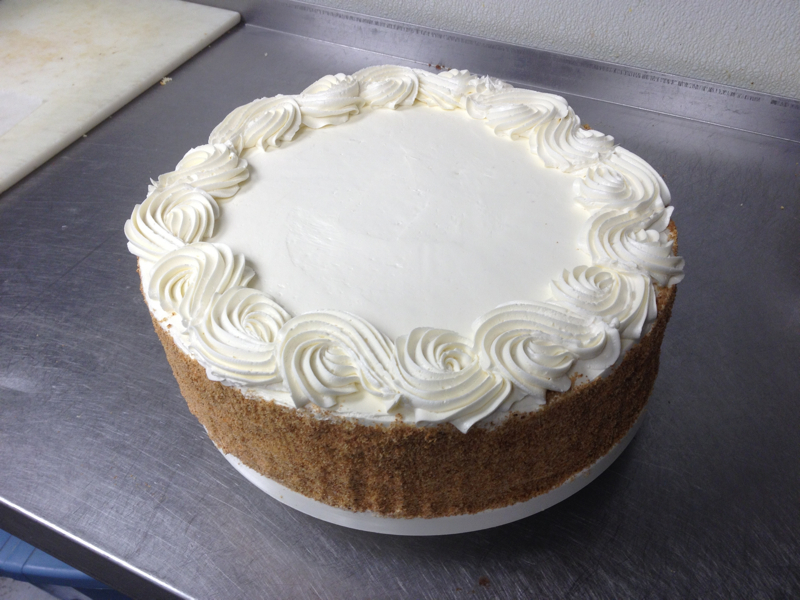 Someone ordered a 12" vanilla cake at work so I had to break out my cake skills this week. I had the chef do the top border... I never learned how to "finish" cakes properly. Now I get to learn! Bonding with my little buddy after work. 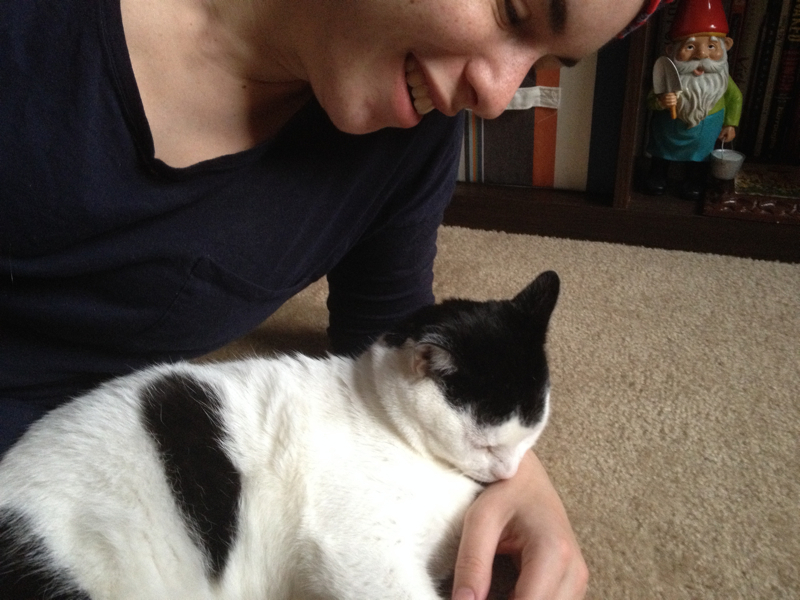 He just plopped right down next to me. 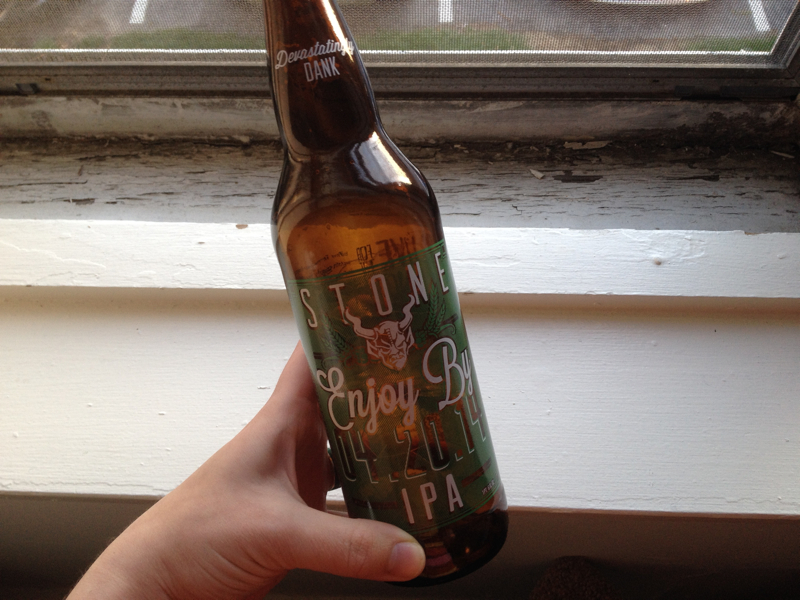 We enjoyed it before 4/20/2014. 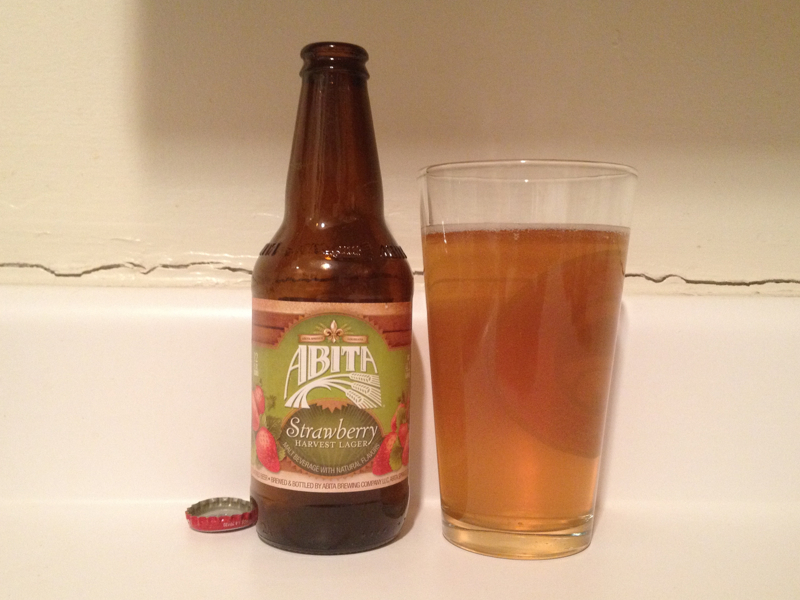 First Abita Strawberry of the season! Shawn's brother is making his strawberry beer again this year too... mmmm! 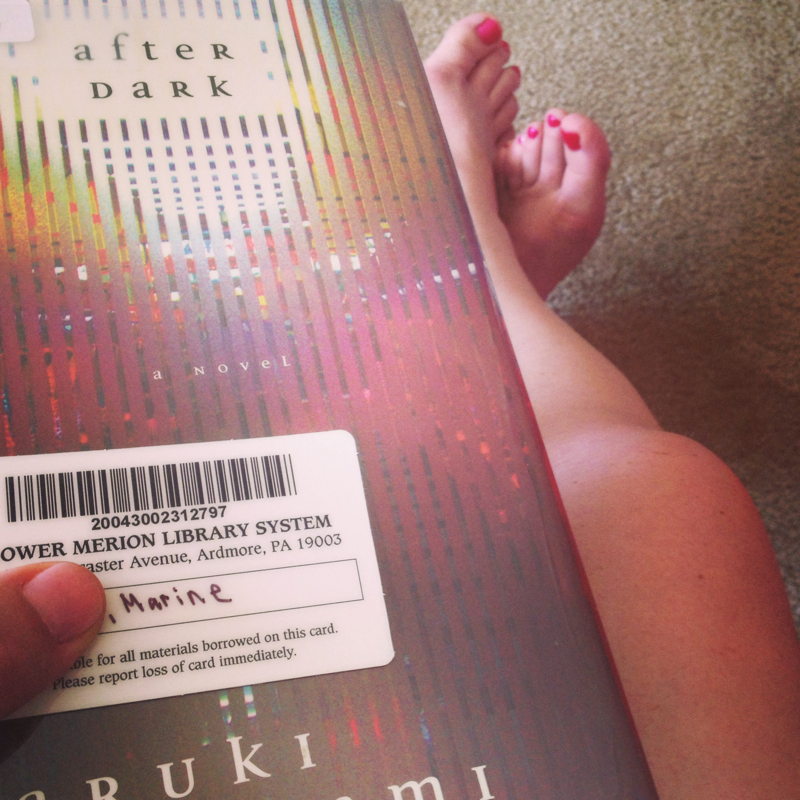 Yesterday I got a mani-pedi and a library card. The librarians seemed so excited to gain a new "member"! 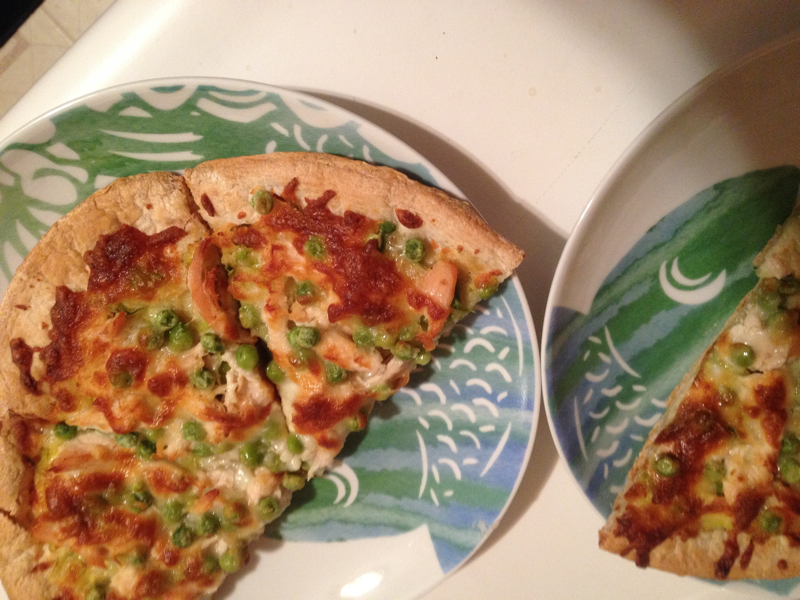 I made chicken, pea, brussels sprouts, and mozzarella pizza for dinner the other night. 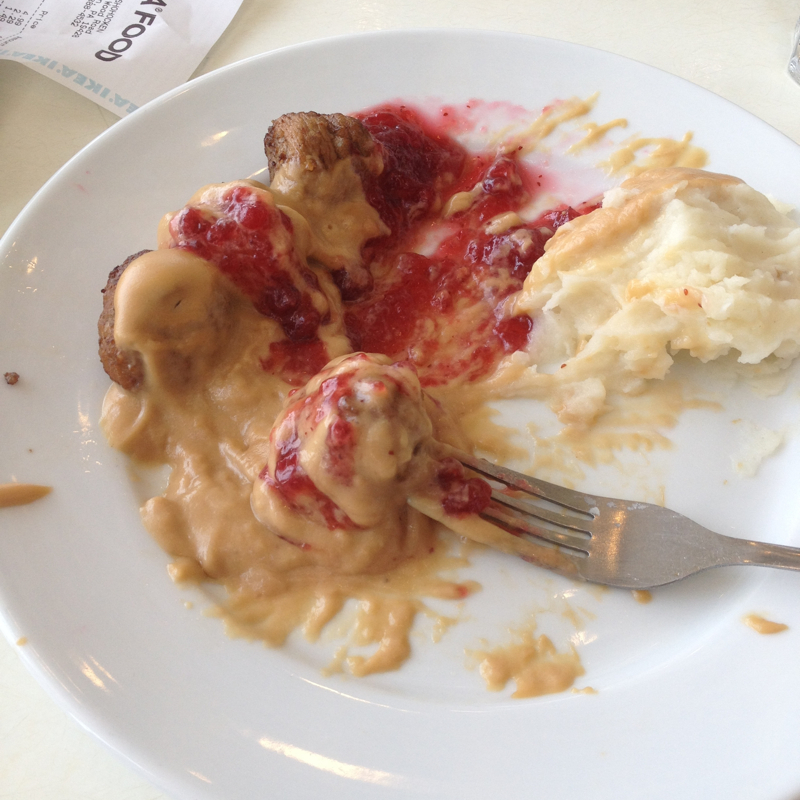 Today I went to IKEA just for food. I left with more than that, of course, but the meatballs are so freakin' good! Hope you had a fantastic weekend! I've been enjoying being able to wear shorts again! 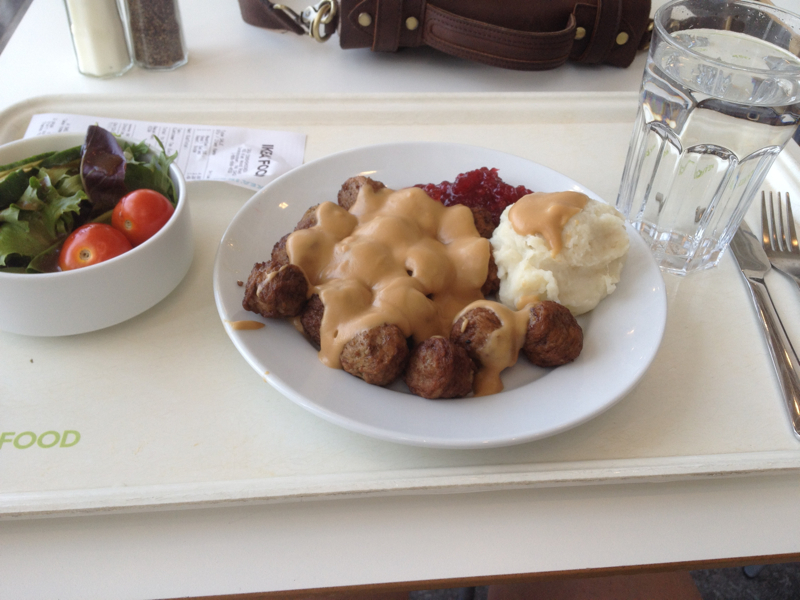 haha, we go to Ikea sometimes for the food, my boyfriend is obsessed with their meatballs. how do you candy lemon peels? Their meatballs are so good! You would never expect it. Shawn was skeptical the first time. Candying lemon peels is actually pretty easy! You peel the lemon, trim the peels up real nice (as large or small as you want, heck, you don't even really have to trim them if you're just going to eat them! ), then you cook them at a simmer in simple syrup (50/50 parts sugar and water) until they become mostly translucent. Take them out of the syrup, toss them in a bowl full of sugar until they're coated, then lay them out on a wire rack to dry overnight. You can do the same thing to any citrus! They're delicious, and you can re-use your lemon simple syrup for other things... like cocktails! thanks! That does sound easier than I had imagined it in my head haha. I like your way of thinking for re-using the syrup too! Then adorn the cocktails with candied citrus? haha. I love IKEA so much. It's so easy to spend a day there and fall in love with everything. And the guy in front of me ordered the 99c mac n' cheese... I was definitely tempted! Exactly! There's no waste in this kitchen.